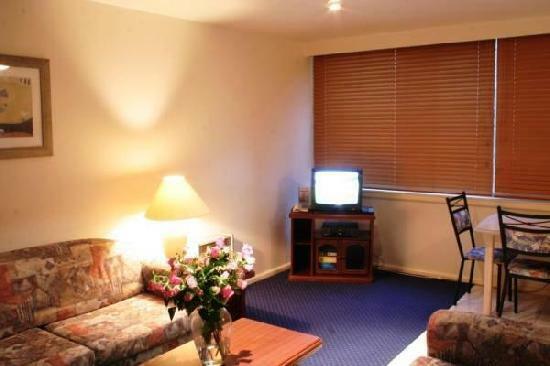 For many years the Darling Towers Apartments have provides travellers with affordable and conveniently located self contained apartment accommodation in the heart of South Yarra. With a range of 1 and 2 bedroom serviced apartments available to the the budget of all types of guests the Darling Towers South Yarra Apartments are very popular with families relocating to Melbourne for an extended period, couples on holidays and business travellers who need long term apartment accommodation close to the main corporate precincts in Melbourne. With a central location just metres away from Toorak Road and Chapel Street the Darling Towers Economy Apartments are within easy walking distance to an abundance of restaurants, bars, cafes, take-away shops, fashion stores and boutiques. These affordable furnished apartments also provide guests with convenient access to Melbourne's extensive tram and train network, ensuring that you will be within easy reach of all that the city has to offer, including the CBD, St Kilda beach, MCG, Southbank, Melbourne Park tennis centre, Crown Casino and much more. Ideally located just off Toorak Road in South Yarra the Darling Towers Economy Apartments are within easy walking distance to many of the regions main attractions including the shops, cafes, restaurants and nightlife entertainment along Chapel Street and Torrak Road, the Royal Botanic Gardens, discount shopping in Richmond, the Yarra River with its walking paths that lead into the city and Southbank, Como House, the Jam Factory and the many businesses and corporate offices located along St Kilda Road.